Jerry’s Storage has been providing outstanding storage solutions to residents of Dierks and the surrounding communities since 1998. Our storage facility offers options for general household storage, vehicle storage, RV storage and more, and we’re committed to the safety and security of our customers’ property. Whether it’s a car they’re holding onto for their grandkids, a boat that’s taking up space on their property even in the dead of winter or the boxes and boxes of belongings they’ve been putting off unpacking since their last move, most everybody has property they’d rather have out of sight and out of mind. Fortunately, affordable mini storage in Dierks, AR is as easy to rent as calling Jerry’s Storage, the area’s trusted storage facility for over 18 years. 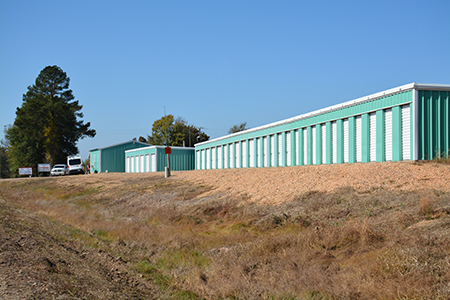 We are a safe, secure storage facility with two locations located in Dierks AR and Glenwood AR. We’ve been in business since 1998. Our individual units range from 5’ x 15’ to 12’ x 40’ and up, and can accommodate everything from household belongings to vehicles. We’re affiliated with the Arkansas Self Storage Association, the Dierks Chamber of Commerce and the Glenwood Regional Chamber of Commerce. Our monthly rates are extremely competitive. Get your clutter off your property and out of your mind by renting a unit at Jerry’s Storage.